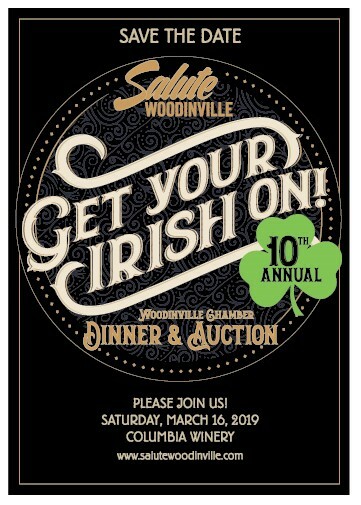 Our 10th Annual Salute Woodinville Dinner and Auction has been scheduled for March 16, 2019 at Columbia Winery, 6:00pm – 10:30 pm. Interested in Sponsorship of Salute Woodinville 2019? Contact kimberly@woodinvillechamber.org. Ready to hear about our 2019 Salute Woodinville theme? Check it out . . .